Supports contact grouping and group operations including: adding, modifying, deleting, sorting and searching groups and group assignment. Supports contact management operations including: adding, modifying, deleting, sorting and searching contacts. Supports to import a contact from a QR-Code. Supports to import contacts from Google Contacts. Supports to import contacts from a VCF file. Supports to export contacts to a VCF file. Supports to share contacts through Email, Message, or AirDrop. Supports to generate QR-Code and Business Card from a contact and share it. Supports to make a phone call, send a message or an email from a contact. Supports to show map of a contact's location. 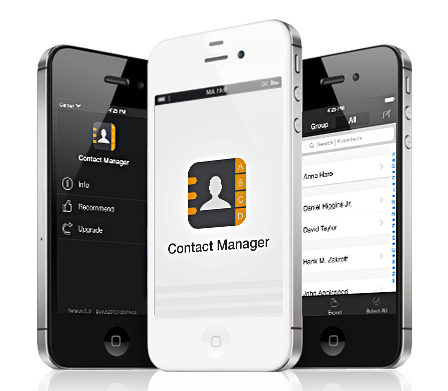 With its simple interfaces, Contact Manager provides the easiest way to manage contacts on iPhone.